Some signs are quite obvious when it comes to checking whether concrete needs repairing on a building. For instance, cracks will start to show in your walls and other concrete areas. If cracks are showing in a wall then there is likely to be a problem that requires fixing before it develops any further. When needed, concrete repair is an essential way of repairing any damage and working to safeguard the building from any existing issues worsening. Older houses will often show signs of their age and small cracks in vertical walls that are not necessarily going to cause a problem in terms of structural stability but can cause other issues. For example, cracks can be a point of entry for water, leading to damp within the walls. If you see large cracks or ones which come back after you have tried to fix them, then you are likely to need a structural engineer to check it over. It is always best to consult a specialist as you need to ensure that you are resolving the issue to the best possible standards. If you are seeing bulges in your concrete suddenly appear then this is another sign that there is a problem that needs to be addressed. Sometimes the weather will result in uneven concrete surfaces but if this is indoors then it is probably an issue with the concrete. When concrete is being formed, blisters can appear when air has been trapped. Whilst this isn’t going to be a structural issue, it doesn’t look good so you will probably want to get it fixed. When bleed water and air are trapped below the surface mortar, delamination can occur and parts of the surface will crumble and come away. Allowing the right amount of waiting period in laying concrete should avoid this. Concrete that is deteriorating can be tested by poking and scratching it with a screwdriver. If pieces of concrete start to flake off then there is a high possibility that you have an issue. 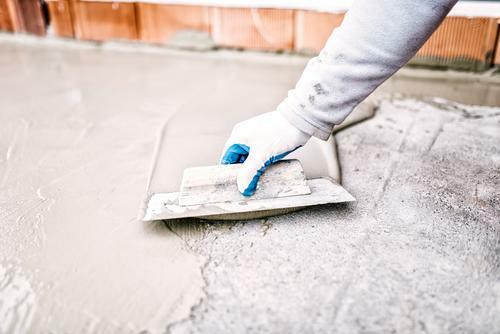 Concrete damage can happen for all kinds of reasons, though one of the most common is the inevitable effects of time and general wear and tear. Making sure that any construction work is completed by fully qualified professionals is the best way to avoid unnecessary problems; similarly, the sooner a problem is identified, investigated and fixed, the less chance of suffering further damage. If you have inspected your building and identified any of the problems listed above then it would certainly be a good idea to get a professional out to look at it and guarantee your peace of mind. Older buildings are going to have issues, so don’t put those concrete repair jobs off because you could end up regretting it further along the line.